We know and have believed the love which God has for us. The WEB Bible says that if we remain in love, we remain in God. 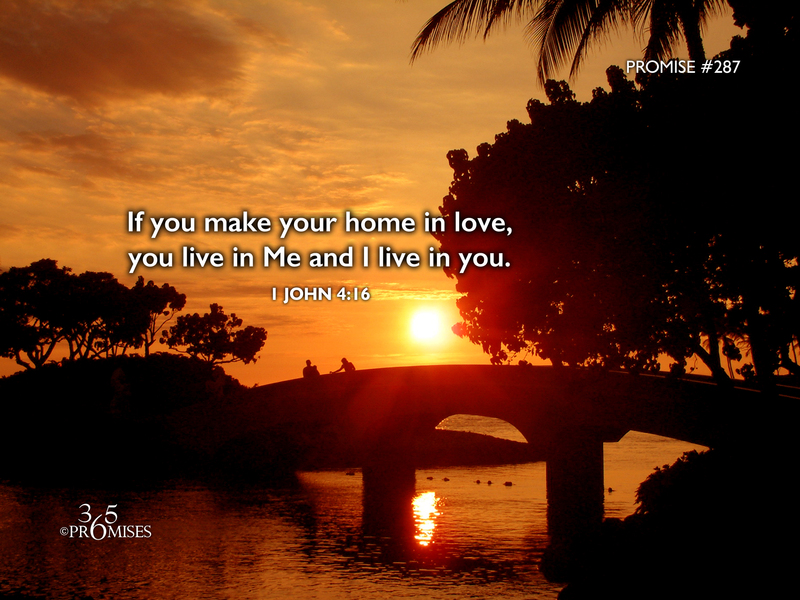 We could also translate this to mean that if we make our home in love, we make our home in God ...for God is love. Think about this image for a second. If love were a house, your Heavenly Father would give you complete run of the place! You could go to the refrigerator any time you like...kick off your shoes in the living room and lie on the couch... etc. If love were a house, then it would stand to reason that our Father would want us to be comfortable living there. But my question is... Are we comfortable living in love? Are we comfortable with the intimacy and vulnerability that comes with living in love? For many of us, even the word 'love' might have a broken meaning. For us to learn to be comfortable living in love, God will have to redeem our understanding of what love is. For us to be able to comprehend the kind of love that comes directly from God Himself, we need to be comfortable on the receiving end of love. In 1 John 4:19, the Bible says that 'we love because He first loved us'. If you want to learn how to be comfortable living in the house of God's love, ask Him to teach you how to receive love from Him every day. The more that we are able to receive our Father's love, the more that we will be comfortable making our home living in love. As we live in the love that God has for us, others will see it's impact on our lives and want to live there too!